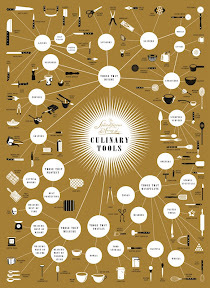 Depending on your point of view, this slick poster from Pop Chart Lab is an homage to what's on your kitchen shelves or a reminder that there are still cooking gadgets you "need." You know where I fall, right? What gadgets are you lusting after?